The Federal Government says it will spend $129 million extending cashless debit card trials nationwide. The card quarantines welfare payments into an account that cannot be spent on alcohol, cigarettes or gambling. It is intended to curb anti-social behaviour and drug and alcohol abuse. Studies into the effectiveness of the card scheme are still underway, and no clear evidence has yet been found. 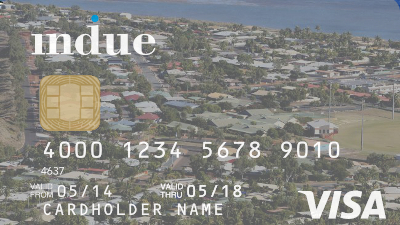 In Laverton, a remote WA town testing the card scheme, reporters have found anecdotal evidence of a positive impact on the community. “There's not so much access to hard cash, so they've been able to spend more money on clothes, food into the household,” chief executive of the Pakaanu Aboriginal Corporation, Marty Sealander, told the ABC. But loopholes are being exploited. “We have heard of situations where people have been standing at the checkout and said to that individual; ‘I'll pay for your groceries if you give me cash’,” Mr Sealander said. A report by the University of Adelaide commissioned by the WA Department of Social Services, interviewed stakeholders and cardholders in the trial. It found “levels of substance misuse were reported by many respondents to have reduced, and alcohol-related, anti-social behaviour and crime had also decreased”. “However, there is some uncertainty as to whether these impacts were a direct consequence of the CDC [cashless debit card] or were linked with concurrent policing and alcohol management interventions,” the report said. The Australian National Audit Office (ANAO) last year found it was “difficult to conclude” whether the card reduced social harm. The Federal Government has committed funding to extend the current four trials to 2021, but this has yet to pass the Parliament.